Here at Bury blinds we specialise in Plantation shutters. We only supply hardwood, NO mdf or composite. We are very proud of our product and hold the paulownia and basswood as one of the best on the market. Shutters are a fresh, attractive option for your home. 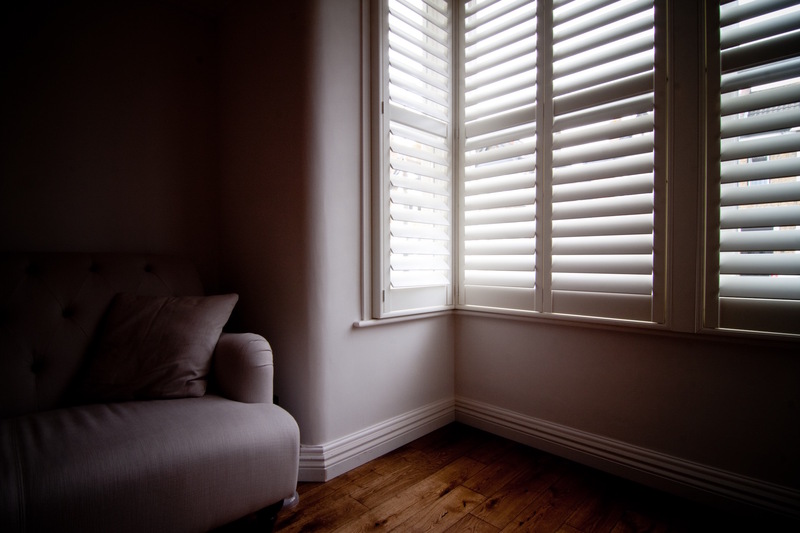 Shutters can regulate light, insulate against cold, heat and noise, whilst offering optimum privacy. We have 3 materials to choose from; Paulownia, Basswood and UPVC (high moisture areas only). 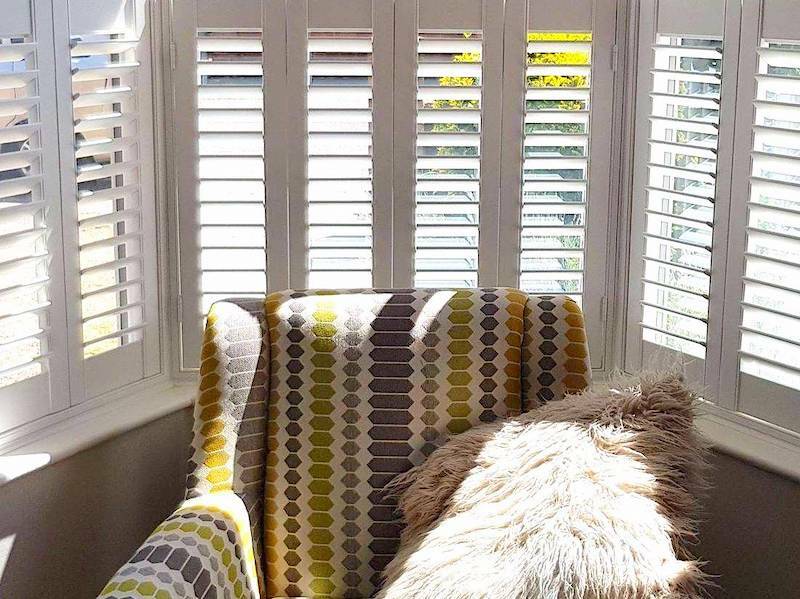 Hardwood shutters are incredibly durable yet lightweight making them the perfect material for Window Shutters.  No distance is too far when shutters are concerned, Bury st Edmunds, Stowmarket, Newmarket, Thetford, Red lodge and beyond. With 7 week delivery as standard at no extra cost, makes us 1 of the fastest too, also 1 of the most competitive on price. 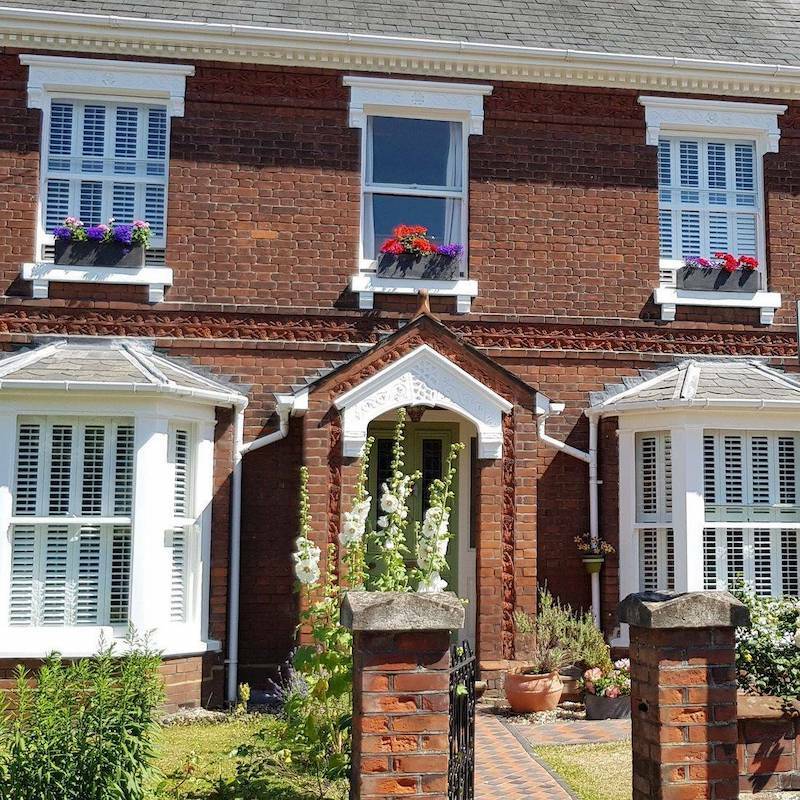 Our entry level Shutters are made from Paulownia Hardwood, Paulownia is a lightweight, strong and fast growing hardwood sourced from Northern Asia. The widely spaced growth rings in the timber mean it offers slightly less density than Basswood, so to compensate for this we treat it with a gesso coating (acrylic polymer base) prior to it going through our refined painting process. Paulownia offers excellent dimensional stability due to it’s engineered core which greatly reduces the possibility of warping. It’s fine grain texture, knot free appearance and low oil content make it the perfect timber for staining and painting. We use Paulownia for all parts of the shutter including frame, stile, top and bottom rails, louvres and mid rails. Paulownia is fully FSC Certified meaning it comes from a certified sustainable source. The Paulownia material has a different style Clear View rod to the Basswood and PVC Shutters, which allows for more movement when the louvre’s open and close so as not to place strain on the wood. Basswood is often called Linden Wood, Lime-wood or Tilia Wood a common timber in Northern America. It offers exceptional stability and tightly spaced growth rings. Basswood being a high density hardwood, offers additional strength over Paulownia making it perfect for high access areas or large installations. It offers excellent dimensional stability due to it’s engineered core which greatly reduces the possibility of warping. A high quality, lightweight hardwood offering a smooth and consistent grain; making it perfect for painting. All of our wooden shutters use mortice and tenon joinery, and undergo an extensive kiln drying process, prior to being machined. More suited for wet rooms or areas of moisture our UPVC core composite shutter offers a smoother finish (being man made) and will out last any wood shutter. Unlike timber, UPVC shutters are resistant to moisture so can be installed in any room. They have an excellent temperature operating range, will never warp, peel or flake. In addition they are perfectly suitable for areas where hygiene is important. New technology in our painting process allows for UPVC to be finished in the same high grade paint finish meaning no matter if you choose a solid wood or a waterproof shutter, to the naked eye the finish will be consistent. Available in any colour and includes marine grade stainless steel hinges as standard to prevent rusting.